I am using SimpleInjector IOC container to create objects that are used by Glass.Mapper rather than default Castle Windsor or default inbuilt Glass.Mapper method. Using other IOC container with Glass.Mapper is very easy and I got my webpage up and running in Sitecore normal mode easily. However I got below error while working in Sitecore Page Editor Mode. 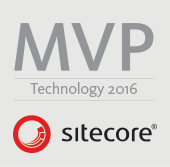 Sitecore ID is required to allow Glass.Mapper to link your model to the actual Sitecore item in Page Edit mMode. After building solution, I was no longer getting error in Page Editor Mode.